When it comes to investment banking professionals, financial modeling is quite an important skill to possess. One of the main venues through which you can obtain this knowledge is via financial modeling courses. The best in the field is, without a doubt, the BIWS Premium Course. Here is an in-depth look at what financial modeling means as well as into the plethora of advantages the BIWS Premium Course can offer you. Why Is the BIWS Premium Course so Fantastic? Investment banking is a field which focuses mostly on evaluating how much a company is worth. Its purpose is to create capital for corporate financing, facilities M&A, otherwise known as mergers and acquisitions, investing or restructuring and reorganizing corporations. This is the main reason why financial modeling becomes such a valuable asset for a successful investment broker. The entire process called financial modeling strives to create a mathematical type of model which takes as a subject a company, project, stock or financial asset and reflects its current, future or historical financial performance or value. Financial models are usually simple formulas, complex calculations, and everything in between. In fact, any mathematical formula which is used for the purpose of calculating or estimating the value of a corporation and its finances can be thought of as a financial model. Here are the most frequently used financial models when it comes to investment banking. An array of enterprise value estimations and calculations. As noted in the beginning, if you are interested in a career in investment banking, then you will have to take a financial modeling course. It will be helpful in advancing your education if you are planning to work in the business but it will also suit you very well if you happen to be already working in the industry. There are live and online study courses which you can take. The online ones typically have a curriculum which you can study on your own if you so desire. Online courses are also a lot cheaper than the other ones and will allow you to make your way through all the material at a pace which you decide. The best program is the BIWS Premium Course. Here are all the details you need to know. The BIWS Premium Course costs $497, and it is made up of two separate courses, as follows. The Excel and Financial Modelling Fundamentals training program which will give you the chance to study the introduction to financial modeling in a series of different geographies and industries. The Advanced Modelling Course, in case you want to go more in-depth with your case study practice. Let’s break down the courses to see what the BIWS Premium Course is offering you. Here is what you get if you purchase the outstanding Excel and Financial Modelling Fundamentals first course. It is made up of two different case studies, which highlight real situations that you will find interesting and fun at the same time. The first case study is a three-statement model and valuation of the famous Walmart. The specialists over at BIWS based the second one on an analysis of customer due diligence data.Both these cases will show you how to navigate, format, and use formulas in Excel. It will give you an introduction to financial modeling and the reasoning behind it. You will also find out why you need this knowledge in real life as well as for your future job, independently of the path you choose. The BIWS Premium Course is an incredible source of information whether you plan on working in equity research, hedge funding, corporate finance, private equity or investment banking. The second module of the BIWS Premium Course delves into accounting from a business point of view. The course uses examples which will strive to teach you why the top major financial models work in the way you know them to do. The third module aims to give you a crash course when it comes to the four primary categories of questions you will receive in an accounting interview. Apart from that, the BIWS Premium Course starts to scratch the surface of even more advanced topics, the likes of Unrealized Gains, Net Operating Losses, PIK interest, and much more. It brings about the projecting of the aforementioned three statements. The flawlessly chosen example that the BIWS Premium Course uses is that of Atlassian. It is a software company that has its headquarters in Australia, for which you will be using your model. The purpose here is to build a recommendation for investing. You will also need to figure out if its two primary investors can make the IRRS they targeted. This module will be asking you to create intricate three-statement projections which will spread over the course of five years. The company which the BIWS Premium Course has expertly chosen for you to work on is EasyJet, the biggest airline in the United Kingdom. This module takes on Vivendi, which is a giant French conglomerate. You need to calculate the company’s Equity and Enterprise value as well as its key valuation metrics and multiples. This module will ask you to construct a detailed valuation for a company called Jazz Pharmaceuticals. You will have to choose the appropriate public businesses to compare it with and a number of precedent transactions. You will also have to run the numbers and calculate the key metrics related to this company. Number eight continues using the Jazz case study. You will have to build a DCF model in which to add various scenarios on how the company’s drug pipeline might evolve. This module of the BIWS Premium Course is fantastic because it will teach you how to calculate Cost of Equity, of Debt, WACC, as well as how to use them all if what you’re trying to do is estimate Jazz’s discount rate. It will teach you how to put a valuation to good use. You can use it in investment banking, evidently, equity research, asset management, hedge funds, corporate development, private equity, and much more. 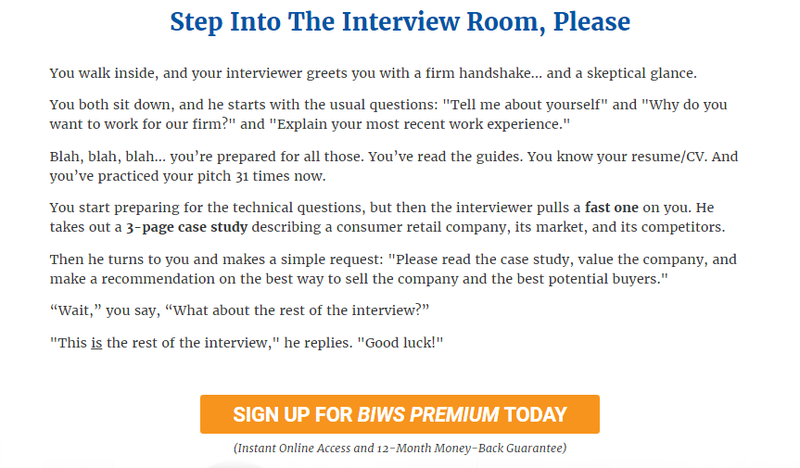 This is also the particular model for which the BIWS Premium Course cleverly asks you to create a presentation with some advice for your clients. You will also have to perform some stock pitch so that you can back up your findings. This is the point where you will have to analyze the mergers and acquisitions deal which was made between Men’s Wearhouse and Jos. A. Bank. They are supposed to be two clothes retailers based in the US. Thanks to the BIWS Premium Course, you will be the one making the recommendations for the purchases prices and well as for how the deal should be structured. Here is yet another point where you get to see just how valuable this course truly is. The eleventh case study brings forward the situation of a company called Suntory Holdings. They have bought some other company, called Beam, for $16 billion. In this case, the module will help you learn more advanced things about merger models. Some examples include how procedures for handling mergers that transcend borders, how to mix valuation work with mergers and acquisitions analysis, and how to build a detailed recommendation for your client, based on numbers alone. Module 12 is essentially a crash course on leveraged buyouts. Apart from it, you will also get the unique chance of completing a very swift, yet accurate analysis of a deal and use it to create an investment recommendation. The deal which you need to study here is Apollo buying Chuck E. Cheese. The module will ask you to write an investment proposal around this deal after you have learned how different options such as debt refinancing, management rollovers, and excess cash have an impact on the model itself. Module 14 of the BIWS Premium Course is excellent when it comes to learning all there is to know about the valuation of a private company. You will get to do precisely that, as well as some financial modeling. The case study regards a reverse merger between Kakao and Daum Communications. The BIWS Premium Course in fantastic in this aspect, as it teaches you to make adjustments and tweaks for private companies. It will also prove to be a fountain of knowledge on modeling an initial offering. It will even teach you how to advise a company or other when it comes to a reverse merger versus a tradition mergers and acquisitions deal versus and IPO. The last module on the list brings forward the now larger than life company Netflix and it allows you to study it from the following point of view. Netflix is in need of securing some $1.5 billion so that it can fund its global expansion. You will have to build a three-statement model with more than one scenario, and take care of every other aspect involved in this type of situation. In other words, you get the fantastic opportunity of putting to good use all you have learned so far during the BIWS Premium Course. As you can well see, the BIWS Premium Course is utterly fantastic with its teaching ways. It provides an abundance of knowledge, as well as real life situations and study cases, which will give you a feel for how it is to work for real in the field of investment banking. Apart from that, when you compare the BIWS Premium Course with others of its kind, you will notice that absolutely nothing can beat what they have to offer. You will finish the courses feeling reassured that you now have what it takes to make it in the field. When it comes to the Advanced Modeling Course of the BIWS Premium Course Review, here is what you will be getting. There are good financial modeling courses, and there are great financial modeling courses. And then there’s the BIWS Premium Course. There are two primary reasons why we and the rest of the financial world love it so much. 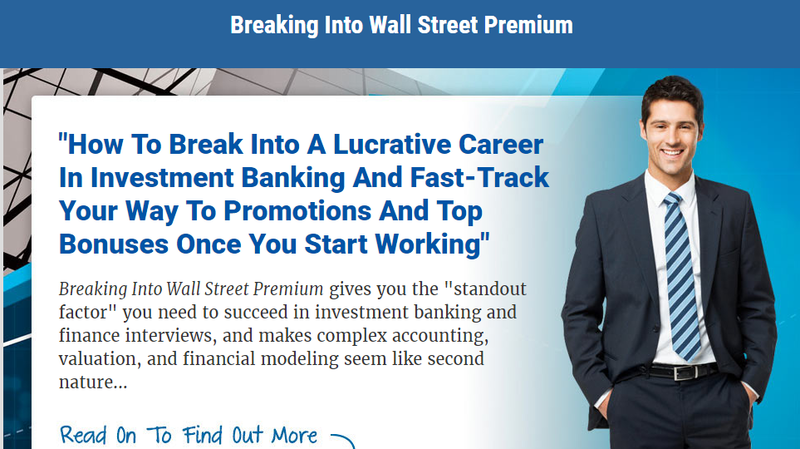 First of all, everything in BIWS Premium is based on what real bankers do in real life. There are no imaginary or theoretical situations which won’t do you any good later on when you’re actually performing the job. For example, as you may have noticed from what we detailed above, the Financial Modelling Fundamentals are based on more than ten cases regarding companies from the US and elsewhere. The Advanced Lessons themselves center on a simple case study of Microsoft proposing to buy Yahoo! for an average of $44 billion. Apart from that, as if it weren’t enough to impress anyone already, the BIWS Premium Course allows for bonuses cases as well as tutorials. A few examples include Intel buying McAfee for $8 billion, ConAgra bidding $5 billion for Ralcorp, or the fact that TPG bought J Crew for $3 billion. The second reason why we love BIWS Premium Curse so much is that it’s best possible way to learn all the things you need to know in finance modeling and more, via real case studies. Apart from that, it allows you to gather real-life experience, which will account for a lot more than you could possibly imagine when you work in a profiled company. During the time you be involved in the BIWS Premium Course, you will get the outstanding opportunity to do exactly the same things you would be performing at your real job. A few examples include valuing a company, creating advanced merger models, building detailed operational models, and learning how to advise a client. Let’s not forget that you will be using genuine 10-K/10-K fillings as well as actual equity research coming from the likes of Morgan Stanley and Credit Suisse. The BIWS Premium Course is used by both students and people who have graduated from top-class financial academies. You can always put the course on your resume, seeing as a prospective employer will unquestionably appreciate the fact that you took the time and spent the energy and effort to go through this truly fantastic course. Download BIWS Premium Course sample video here. To get the FREE $97 Bonus, please purchase the BIWS Premium Course from the following link. Send me an email along with your full name and best email address to [email protected] so I can send you the course login details. Why Every Investment Banking Aspirant Needs the BIWS ‘IB Networking Toolkit’ Program?